We have an overview of the odds on all major betting markets of Betfred. 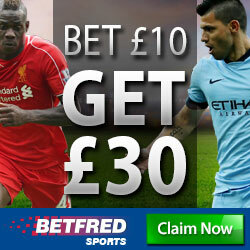 We have done this by collecting tens of thousands of different Betfred odds over a long period of time. Odds were collected at all days of the week and also with the match in-play (LIVE). Using this vast amount of empirical data, we determined how the odds of Betfred compare to the market average. We have done so by calculating the average payout percentages (or “average payout” or “payout percentages”) of over 30 other major bookmakers. 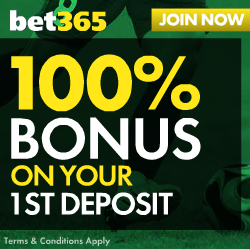 If for example, the average payout equals 96%, this implies that on average £96 is paid back by the bookmaker to the punter on all winning bets, for every £100 that is staked. Hence £4 (or 4 percent) is kept by the bookmaker, which is also referred to as the “betting margin” or the “profit margin of the bookmaker”. Of course, the higher the average payout, the better the odds are. Better odds = higher winnings. The summary below shows the average odds of the major sports disciplines, which is further described below. 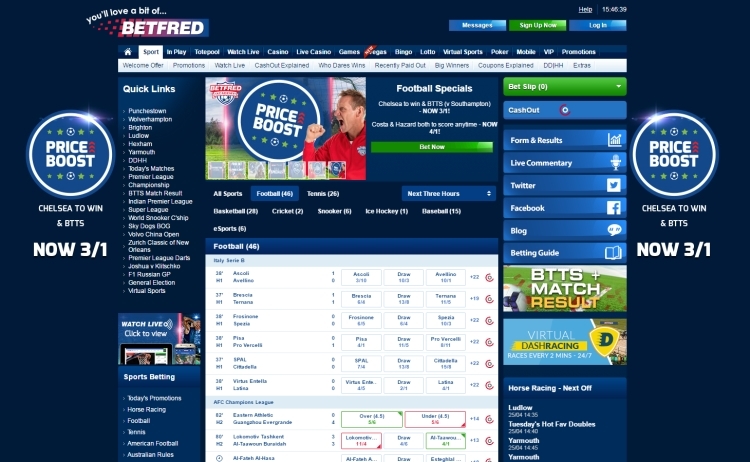 Check out our full review of Betfred to get all the info you need on this excellent bookmaker. The odds for the Premier League and the English Championship are amongst the better of the market. Betfred offers the best odds when it comes to LIVE betting: the average payout is 96% for the 4 largest competitions in England. If you are keen on live betting, you should not even consider looking any further – you won’t find better odds elsewhere. Champions League odds are excellent when you bet the day before the match or on matchday. The odds for the 4 major European competitions (German Bundesliga, Italian Serie A, Spanish Primera Division and French Ligue 1) are around average, with average payout percentages in the range of 94%-96%. What makes Betfred unique is the relatively very high average payout of 96% offered for LIVE betting. They are unrivalled. If you are a keen LIVE punter, do not even consider to look for other bookmakers. For the Turkish Super League, and the Portuguese Primera Liga), the odds have payout percentages of around 94% and this is in line with the market. For the Dutch Eredivisie and the Belgian Eerste Klasse, these are below market average. But, also here, the odds offered for LIVE betting are very spectacular. LIVE odds exceed market average by miles. See our betting glossary for a further explanation of special bets. Betfred offers excellent odds for Asian Handicap bets and payout percentages are slightly higher than for 1×2 bets. For the other special bets, the odds are worse than for 1×2 bets. For Tennis (both men’s and women’s Tennis), the odds are around market average. Odds for challengers are much better than average: unlike other bookmakers does Betfred not penalise the less exposed tennis tournaments. Rugby Union (6 nations) odds of Betfred are better than average. The odds for Snooker and Darts are in line with the market. The Betfred odds have an average payout percentage of 94% which is in line with market average. Betfred is one of the most popular online bookmakers and we think one of the reasons behind their popularity is their very high payout ratio.